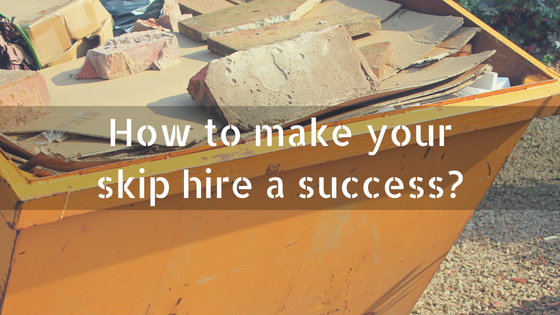 Home / Uncategorized / How to make your skip hire a success? 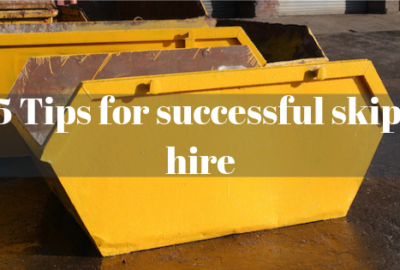 With skip hire becoming increasingly more popular amongst domestic and commercial customers, it’s no surprise that you want to find the best skip hire provider! At Bolton Skip Hire, needless to say that we specialise in skip hire Bolton but our services don’ stop here! Whether it be skip hire Preston, Chorley or Leyland, we think nothing less than offering a suitable alternative for disposing of unwanted materials. Deciding whether you could benefit from skip hire Bolton is not a decision to be made on impulse; it requires careful consideration. Here at Bolton Skip Hire, we focus on delivering services that are safe and legal, ensuring that your skip hire is a success. 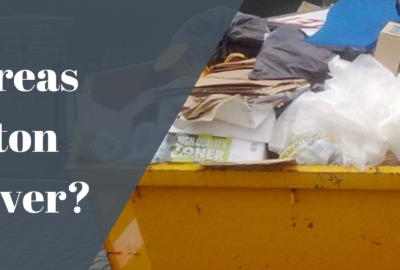 Waste disposal needn’t be difficult or expensive if you choose to hire a skip from a company that you cant trust! As specialists in skip hire Preston, we think nothing less than providing honest prices for our skips, hence why we offer all customers a bespoke quote that takes into consideration their specific requirements. With Bolton Skip Hire, you can rest assured that there are no hidden fees- we price our domestic skip hire services competitively to ensure that you receive the best value for your money! To help you to get more out of your skip hire (without breaking the bank) our team of experts have a “can-do” attitude and can provide you with any advice or support that you require. First and foremost, you need to find somewhere suitable to store your skip. Ideally, your skip should be placed on flat ground- somewhere stable. Make sure that your skip doesn’t obstruct driveways or access points as this will only provide more disruption than is necessary. In addition to this, you’ll need to consider how easy it will be for our loading fleets to deliver and collect your skips; is there enough space for them to manoeuvre? Being prepared for skip hire Chorley will not only make it a whole lot easier for you when it comes to starting your project but will also prevent the risk of injury and damage. When it comes to delivering skips for skip hire Chorley you’ll need to discuss with the fleet driver where you want the skip to be placed. They can point out any restrictions or limitations and suggest alternatives to ensure that you maximise your investment. 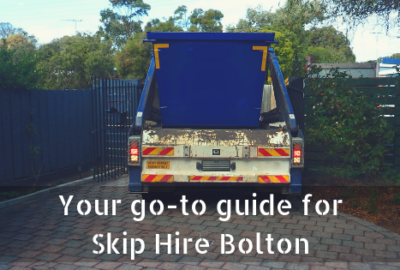 Here at Bolton Skip Hire, we arrange to deliver skips at a time that suits your needs best, ensuring that you’re home when the skip arrives. We also offer weekend or evening delivery if this is more convenient. Depending on where your skip is stored overnight, you may need to invest in lighting and cones to surround your skip, ensuring that it’s visible in periods of darkness and often, this only applies to skips that are kept on the road. Leaving your skip on the road may be your only option and for us, this is not a problem If you plan on placing your skip on the road, be sure to inform us so that we can obtain the permit on your behalf. To make your skip hire Wigan more convenient, we visit your local authority to acquire the necessary documentation to legalise your skip hire and the cost of the permit will be included in the markup price. Start off with large, heavy items at the bottom and lighter materials towards the top. Waste that’s smaller and lighter fits neatly in between larger products, allowing you to utilise space efficiently. 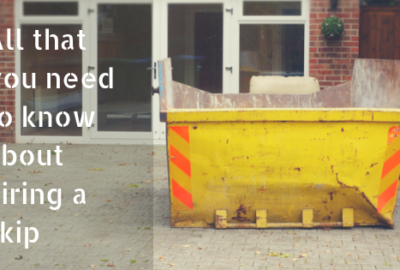 When loading the skip with waste, make sure that you don’t lift any heavy or awkward items singlehandedly- this will only increase the risk of injury and offset your project further! Overfilling your skip with waste is also not recommended as this can lead to dangerous consequences, not only for you and the fleet driver but for any passers-by. Choosing to overload the skips that we provide for skip hire Leyland will work out expensive because your skip hire won’t adhere to legal legislation. Each of the skips that we deliver for skip hire Leyland incorporate a maximum fill level around the outside and this can be used to determine whether our fleets will collect your skip or refuse collection. As you may already be aware, some materials are not suitable for the skips that we provide for skip hire Wigan and therefore, they need to be disposed of separately. Hazardous waste covers a broad spectrum, ranging from asbestos and gypsum materials, fridges and freezers to batteries, aerosols, tyres and paints. If you need to know any more about how Bolton Skip Hire can help to make your skip hire a success, be sure to contact us today!